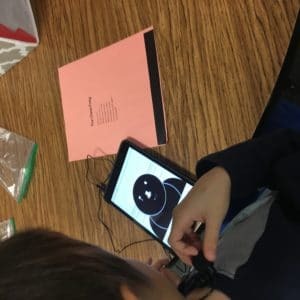 As a whole–struggling readers have spent more instructional time learning decoding skills at the word level than reading connected text. Meaning??? 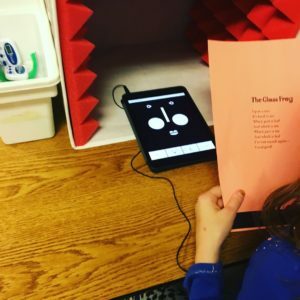 Because of all hard word put into accurate word-by-word reading readers are using all their mental energies during a first reading, struggling readers benefit from activities that require them to do a second, third and even fourth or fifth reading. Hence why repeated reading are so important but get soooo boring for students as they focus on the sound of the language and the meaning. 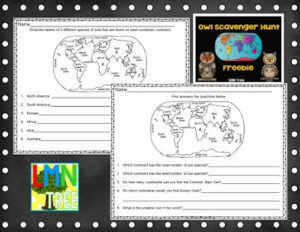 In this way, their reading becomes smoother and they continue to build comprehension skills. 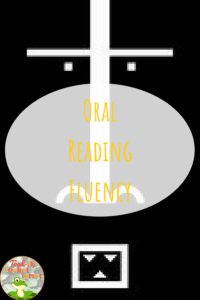 Repeated readings also help word callers–readers who are skilled at decoding but do not focus on reading words in an expressive way to show what the text means. Having them practice the same text, their mindset changes from just getting through the reading to actually making sense of it through presenting it aloud in a meaning way. Well?? What it is: 16 cute faces that react to sound, for example by opening their eyes and mouth wider, varying their reaction to correspond to the volume of the sound: The louder the sound, the greater the reaction from the faces. The length of the reaction also corresponds to the sound: The longer the sound, the longer the face is held in reaction mode. This app is free and it works on iPhone, iPad and iPod-touch. Oh and it’s super fun to watch the faces change in response to sound! After going over intelligibility strategies of putting stress on each syllable and exaggerating each sound, practice a word list, starting with some automatic ones like days of the week, with the goal of getting maximum reaction from the app’s faces for each syllable (not trailing off). 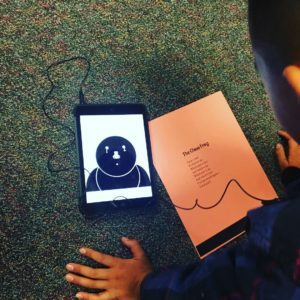 Accuracy can be measured by how many of the words got equally strong reactions from the app’s faces for each syllable. Practice phrases and mark the stressed elements with prolongation and increased volume, as measured by the reaction from this app. The list of phrases could include ones. 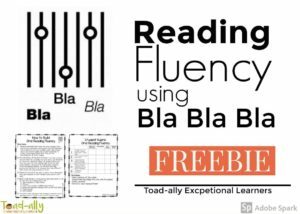 The emphasis on the word different words should be apparent from the Bla | Bla | Bla app’s reaction to volume and duration. Visual indicator of volume and speed can help pace and shape prosody. Affecting these characteristics of speech has been shown to increase fluency (using metronomes and delayed feedback all provide auditory feedback on pacing and affect prosody, but visual feedback, in the form of pointing to a word being read for example, has also been shown to be effective). Therefore using visual feedback such as this app to increase awareness of prosody and pacing to shape fluency is within supported reason, so to speak. Want more AppyHour to use with your students?? Check out my FREE Email AppSmashing Course. This post originally appeared at Toad-ally Exceptional Learners. 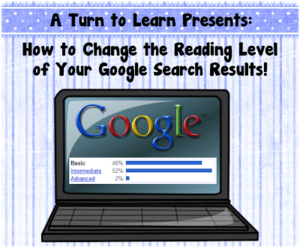 Change the Reading Level of the Search Results on Google!